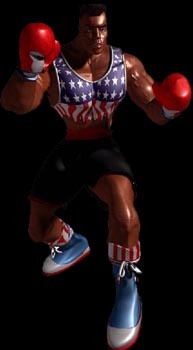 A former heavyweight boxing champion for 5 years. 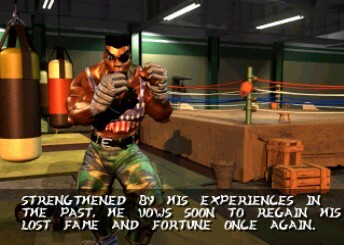 He was stripped of his title and kicked out of the circuit when it was discovered that his arms had cybernetic implants which greatly helped his boxing ability. 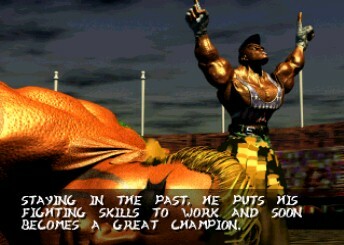 Ultratech promises him his title will be returned if he wins the tournament. 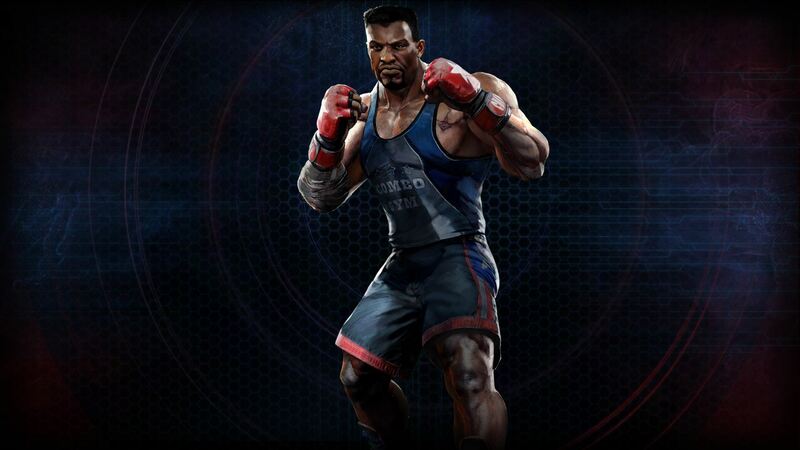 Now broke, he enters the Killer Instinct tournament for the love of money. 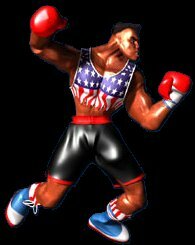 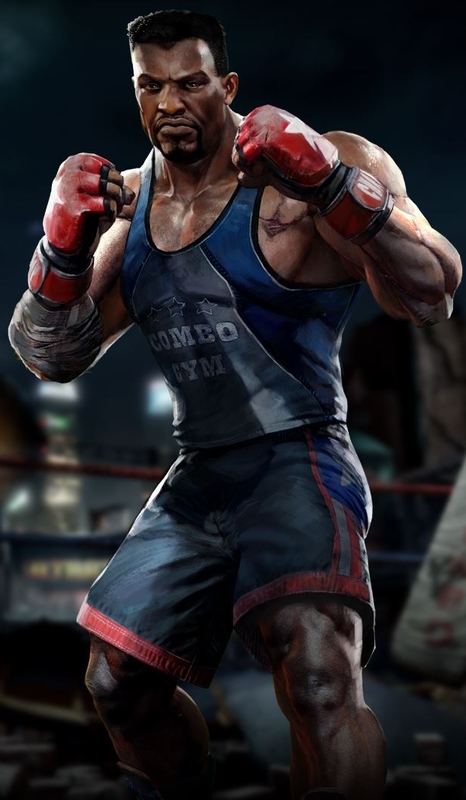 Even though some would call him a "Balrog rip-off" (notably because of how he uses charge up moves), T.J. Combo still has a unique persona and cool, "dirty boxing" fighting style of his own. 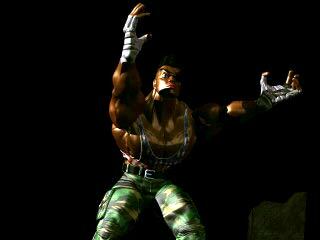 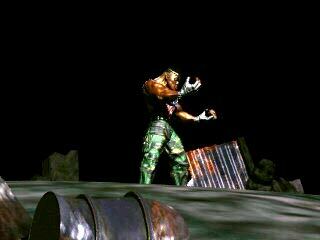 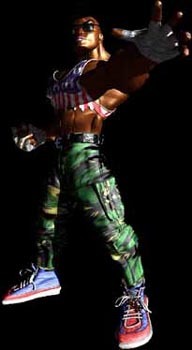 He also balances out the Killer Instinct roster, and he's got a pretty funny personality. 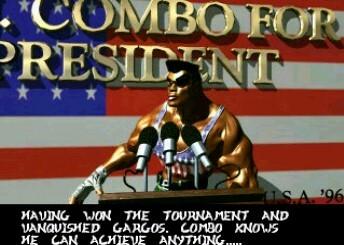 He is also the first fighting game character to pull out a machine gun and bust some caps... lmao. 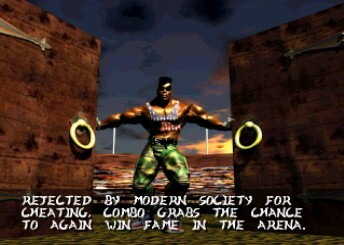 What a jerk.